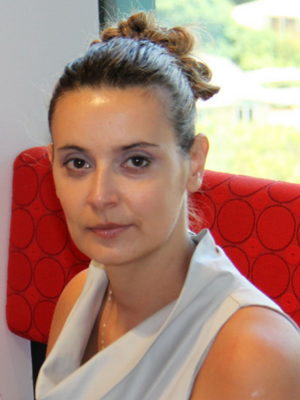 Aleksandra Filipovska received her PhD in 2002 from the University of Otago, New Zealand. From 2003-2005 she was a NZ Foundation for Research, Science and Technology Fellow at the MRC Mitochondrial Biology Unit in Cambridge, the United Kingdom. In 2006 she relocated to Australia as a NHMRC Howard Florey Fellow and established her research group at the Perkins Institute for Medical Research at the University of Western Australia. She was an Australian Research Council Future Fellow until 2014 and currently she is a NHMRC Senior Research Fellow. Her research interests are in the regulation of mitochondrial gene expression by RNA-binding proteins in health and disease. Her research group uses genomic and transcriptomic technologies and model organisms to elucidate the role of mitochondrial dysfunction in neurodegenerative, cardiovascular and metabolic diseases.